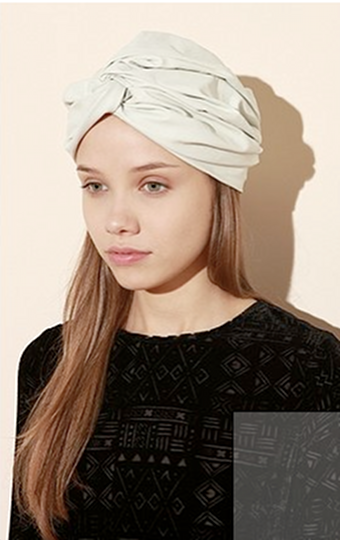 When a tipster pointed out this objectively ludicrous chapeau on the Urban Outfitters website, my first reaction? "I would totally wear that." Why? 1. Turbans are awesome. From Lana Turner to Prada to Her Highness Sheikha Mozah bint Nasser Al Missned to half the best-dressed seniors on the street, a turban is always glamorous! 2. A turban is a hat. Someone wise — or at least, someone — once said, to be noticed, wear a hat. Hats are ice-breakers and conversation-starters. Turbans qualify, and are almost, dare I say it, universally flattering. 3. Leather is warm! This topper — especially with the addition of a little liner — could actually function as a light, stylish winter hat. Hell, you could probably waterproof it! 4. It's very easy to make a miniature doll version. I Carried A Large Doll To Fashion Week, And We Wore Matching Dresses. 5. Halloween is coming. 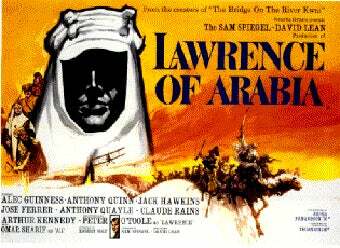 As if it needs saying, this is what you've been looking for to complete your Slutty Lawrence of Arabia costume.